Matthew Arkin, Lead Story Editor at My Two Cents Editing, writes noir detective novels, the first of which was released earlier this year. His self-published book was funded by a $17,000 Kickstarter campaign that exceeded its goal. A former attorney and now a critically acclaimed actor, he has been passionately involved in the exploration of character, plot, and motivation since he began his professional acting career at the age of eight. After graduating with honors in English from Wesleyan University in 1982, he continued his studies at Fordham Law School. He was admitted to the New York State Bar in 1986 and practiced law until 1989, when he decided to follow his passion and return to his acting career. 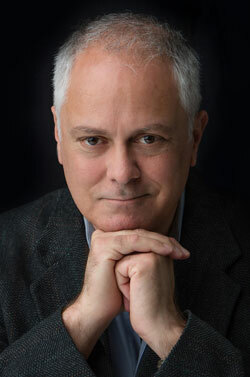 He has extensive Broadway, film, and television credits, and has appeared numerous times Off-Broadway and in many of the nation’s most prestigious regional theaters, and has worked on new plays with some of our finest playwrights, both established (Donald Margulies, Richard Greenberg, Annie Weisman) and newly emerging (Barbara Dana, Steven Drukman, Samuel D. Hunter, and Michael Hollinger). This work has kept him intimately connected with storytelling. Matthew works predominantly in general adult fiction, with a special interest in detective, police procedural, mystery, suspense, science fiction, and horror. He will read and critique up to 5 manuscripts of up to 2500 words submitted in Microsoft Word or RTF. He will provide written annotations covering content and style together with a twenty-minute consultation. Barbara Ardinger, Ph.D. www.barbaraardinger.com , will read two or three works, 10 to 15 pages each, for 10 to 12 twelve authors in sessions of 15 to 20 minutes each. She will comment on “gooder English” (spelling punctuation, syntax), logical development, dialogue, and overall readability. As a published author (eight books, plus innumerable blogs and book reviews) herself, she has worked with something like 300 authors like you—really smart people who want to express themselves more successfully in writing. She has edited screenplays, children's books, academic discourse (textbooks and doctoral and master's theses), web site text, and some poetry. Fiction edited includes romance, action-adventure, science fiction, western, mystery, historical, speculative, and horror novels. Nonfiction edited includes philosophy (mostly mainstream metaphysics and New Age), Calvinist theology, holistic health, science and technology, political tracts, business topics, history, and memoirs and biography. Barbara wants to help you produce the best book possible. 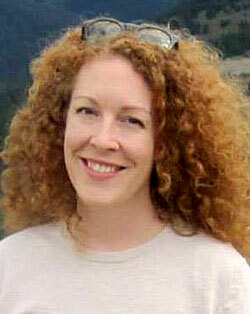 Deanna Brady is a highly versatile freelance writer and editor with more than two decades of experience. She edits, rewrites, and ghostwrites novels, literary and genre fiction, creative nonfiction, biographies, scripts, self-help and how-to books, articles, essays, proposals, cover and query letters, business communications, and Web content. In addition to writing and editing numerous children’s books, she has been an award-winning author of short fiction and poetry. She taught in the Continuing Education department at California State University for a dozen years. She also has an extensive background in the film and television industry and is a voting member of Film Independent (Spirit Awards), SAG-AFTRA, and the IDA. In addition to fantasy, science fiction, romance, historical, literary, and young adult fiction, as well as narrative nonfiction, Deanna specializes in projects concerning spirituality, ecology, Native American Indian and other indigenous cultures, psychology, and complementary medicine. Known as an “editor’s editor,” she is also adept with ESL, dialects, and translated text. Deanna works with a broad spectrum of clients, from individuals to major corporations, in widely varied fields. She edits on all levels necessary, including copy, line, stylistic, substantive, and developmental, and will provide commentary in regard to the suggested corrections/changes. She will read up to four manuscript excerpts of approximately 2,500 words each and also requests a brief synopsis in order to review overall structure. Deanna will will read up to four manuscript excerpts of apx. 2,500 words. She edits on all levels necessary, including copy, line, stylistic, substantive, and developmental, and will provide commentary in regard to the suggested corrections/changes. She will also comment on such elements as diction, emotional impact, clarity, economy, internal logic, structure, character development, pace, flow, etc. She will spend as many as twenty minutes in the consultation. She has special expertise in fiction and nonfiction genres/categories including fantasy, young adult, literary fiction, romance, and creative nonfiction, as well as American Indian and other indigenous cultures, self-help, how-to, ESL projects, ecology, psychology, spirituality, and complementary medicine. If available, please include a brief synopsis or outline in addition to the sample -- which should be the first chapter, or the introduction or prologue and first chapter -- to provide an idea of structure. Sara Anne "Saran" Fox, a former development executive with a major Hollywood producer, played a vital role in the conception and development of over 25 screenplays, three published novels, and three produced films: "My Favorite Year", "Nosferatu" and "Quest For Fire". For over 20 years, she has used her skills as a writing coach and story editor with screenwriters to strengthen character development, clarify motivation, and improve story structure and plot. Sara Anne's strong empathetic and intuitive gifts, combined with her editorial talents, serve to provide her clients with a comfortable creative atmosphere in which to realize their artistic goals and visions. 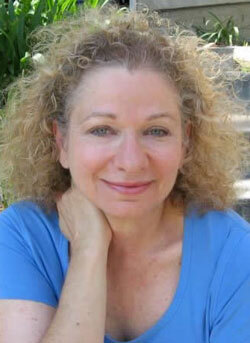 She is also a professional expert in story and screenwriting in LA Valley College's IDEAS program. For this conference, Ms. Fox, (who also works with novelists and nonfiction authors), will focus on screenwriting and read the first 15 pages of a script and offer feedback on character, dialog and plot. She will also be available to listen to and critique pitches. Marcie Geffner is a multiple award-winning reporter, editor and writer whose work has been featured online and in print by the Washington Post, Los Angeles Times, Urban Land, Business Start-Ups and other newspapers, magazines and websites. Her corporate clients have included Anthem/Blue Cross, American Express, J.P. Morgan Chase, Union Bank, and Dun & Bradstreet. 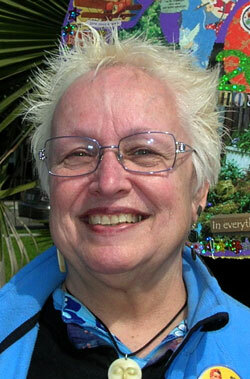 Marcie's articles have been cited in seven published nonfiction books and two U.S. Congressional hearings. 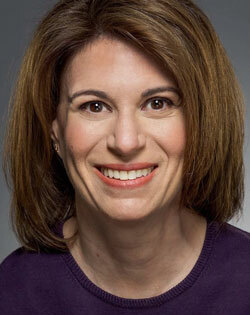 The National Association of Real Estate Editors and Society of American Business Editors have both honored her work. In addition to developmental and copy editing fiction, memoir and nonfiction, Marcie is a nonfiction book reviewer for Publishers Weekly and genre fiction reviewer for Kirkus Reviews and a member of the National Book Critics Circle. Editors describe Marcie as “detail-driven,” “conscientious,” “smart,” “a wonderful writer,” “a delight to work with” and “incredibly versatile.” Fiction authors say her feedback helps them take their writing to the next level. "Marcie has excellent instincts about the big picture of a written piece--what's missing, what needs to be added and what's not right about the work. Having her eyes on your piece could only be a positive thing," says one novelist. With a bachelor’s degree in English from UCLA and MBA from Pepperdine University in Malibu, Marcie has impressive academic credentials in both story-telling and business management. At UCLA, Marcie became a member of the prestigious Phi Beta Kappa academic honor society. A second-generation native of Los Angeles, Marcie currently lives, works and writes in Ventura, California, a beach town between Malibu and Santa Barbara. Marcie works with authors of mainstream, literary and genre fiction, memoir, and prescriptive and narrative nonfiction. Her conference critiques feature both developmental and copy editing, giving authors feedback on story-telling strengths, plot, character, novel-writing craft and writing mechanics. Marcie takes an educational approach to working with authors, explaining what does and doesn't work and why and showing them how to make substantive improvements to their work. For this conference, Marcie will read up to five submissions of up to 2,000 words each. Authors will receive specific actionable feedback on their pages, plus a 20-minute private consultation at the conference. Additional editorial services may be arranged separately at or after the conference, if desired. Art Holcomb will read screenplays, novels, short stories and comic book/graphic novel scripts - up to 10 manuscripts of approximately 2500 words (10 standard pages) and provide written notes and a twenty minute scheduled consultation. Please read the bio (below) on Art for more information about his experience and qualifications. Follow-up consultations after the conference can be arranged separately is desired. 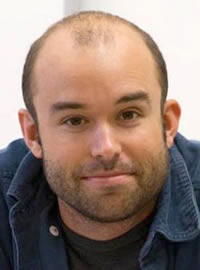 ART HOLCOMB is a screenwriter, playwright, fiction writer and comic book creator who began his writing career at age 13 when one of his plays was professionally performed by the American Conservatory Theater. His most recent short story is The Perfect Bracket with acclaimed novelist Howard V. Hendrix, which appeared in ANALOG Magazine. A play by the same name is currently under consideration for production by the National Actor’s Theater in Louisville, Kentucky. A new science fiction – treasure hunt novel (with co-writer Hendrix) entitled The Strewn is scheduled for completion in 2015. Lisa Marguerite Mora (Barrington Editorial Services) will read s1novel manuscripts of approximately 2500 words (10 standard pages). She edits literary fiction, short story and memoirs. She focused on general flow with attention to structure/plot and some line editing if it is an issue. She will comment on what she likes, what she notices, what took her out, where she needed clarity. She will provide up to twenty minutes depending on the need. Peggy Glenn will read up to 10 fiction or non-fiction manuscript excerpts of approximately 2,500 words, in printed format. If available, please include a brief synopsis or story outline in addition to the sample to provide an idea of structure and context. Your submitted sample is ideally the first chapter, or the introduction or prologue and first chapter. Peggy provides the following levels of editing in her Wordsmithing Service: copy, line, stylistic, substantive, and developmental. She will provide feedback commensurate with the depth of material that you provide. She will also provide feedback on dialogue, emotional impact, clarity, word economy, plot logic, structure, character development, story pace, etc. She will spend approximately 20 minutes in consultation during the conference, depending on the level of work that you submit. Fiction preferences include: fictionalized memoir, mysteries, “slice of life” stories, and believable historical fiction, particularly with a romantic twist. Non-fiction preferences include: memoir, first-person accounts, true crime that does not involve gore, inspirational and self-help (non-metaphysical), and self-improvement. She will read science fiction if it’s not scientific or horrific. No vampires, past-life, erotica or westerns. She also provides project coaching with gentle and honest feedback and lots of encouragement. 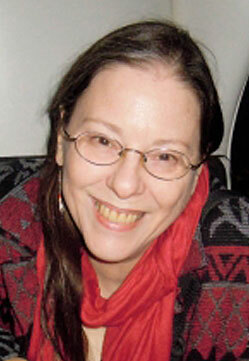 Kathy Ide will read up to ten submissions of up to ten double-spaced pages, fiction or nonfiction. Kathy specializes in Christian manuscripts but will critique any material that does not go against Christian principles or a Christian world view. Her critiques include comments on the overall content, professional writing techniques that can improve the manuscript, and proofreading for typos, inconsistencies, and errors in punctuation, usage, grammar, and spelling (according to the industry-standard reference guides). Kathy will spend 15-20 minutes in one-on-one consultation at the conference. Writers of all levels are welcome. Marla Markman is the editor and project manager at Markman Editorial Services, specializes in guiding authors through the often-daunting self-publishing process, from manuscript to print/e-book. Her clients have gone on to win numerous awards, including a 2012 National Indie Excellence Award, a 2012 Global eBook Award, and a 2011 International Book Award. Marla will read up to six manuscript excerpts of approx. 2,500 words. She edits all levels, including copy, substantive, and developmental, and will consult on such elements as organization, tone, structure, flow, what works and what doesn’t, and suggest ideas for adding valuable features, such as sidebars and worksheets, that attract readers and increase sales. She will spend as many as 20 minutes in the consultation. She has expertise in many nonfiction genres, including self-help, business, finance, legal, travel, health and wellness, historical, memoir, and cookbooks. Please include a table of contents, a brief synopsis or outline in addition to the sample, which should be the first chapter, or the introduction and first chapter. Meghan Pinson provides expert editing, engaging critique, and fearless consulting to authors of novels and nonfiction manuscripts, and leads writing and editing workshops at conferences and for small groups. She also collaborates with Sunny Cooper at Outrider Literary to guide authors through publication along indie, traditional, and hybrid paths. She launched My Two Cents Editing in 2009 and has expanded to help her clients move from first draft to faithful readerships. Now her small crew of literary specialists provides comprehensive manuscript critique and a full range of editing services: editorial assessment, developmental editing, line editing, copyediting, proofreading, and post-editing cleanup. Meghan is a member of the Editorial Freelancers Association, the Greater Los Angeles Writers Society, the Missouri Writers Guild, the St. Louis Publishers Association, the St. Louis Writers Guild, and Reedsy (where you can see her portfolio). For ProCritique sessions, Meghan will read and edit up to 2500 words (around 10 pages) and meet with authors for 20+ minutes. She's currently interested in historical fiction, crime/mystery/thriller, literary fiction, YA/MG, strong female characters, and stories that make her laugh. Her ProCritiques will identify tension-killing exposition and examine the premise and promise of each submission. Annotated pages will be returned to each author. Former Big Five Editor, Helga Schier, Ph. D. is the founder and owner of withpenandpaper.com, an independent editorial services firm. With over 20 years of experience in the (self-) publishing industry, Ms. Schier guides authors through the development and revision process. Handling a manuscript like a diamond in the rough, Ms. Schier’s editorial work focuses on the refinement of story, character, and stylistic issues, helping writers unlock the potential of their manuscripts. Her clients are published, self-published, and not-yet-published writers. Ms. Schier has published essayistic works on contemporary English and American fiction, and has translated several screenplays, memoirs, and a novel series. She is also a frequent speaker at writers’ conferences with successful lectures on topics such as Top Ten Mistakes Writers Make, and The Three Secrets to Successful Indie Publishing, and High Readability – What Is It and How Do I Get It? Helga will read and edit (discussing content as well as style and language flow) up to 2500 words of up to ten manuscripts, and offer individual consultations of up to 20 minutes each. In addition, Helga will be available for follow-up questions at her company’s table (withpenandpaper.com) throughout the conference. Helga will read all types of fiction, memoir, and narrative Nonfiction. Mike Robinson will read up to ten manuscripts of approximately 2500 words (10 standard pages) in the Science Fiction, Thriller, Spiritual / Metaphysical and Literary categories. He will provide both line editing (language flow, style, grammar, syntax) and developmental editing (plot and character logic, story structure). You won't find any MFA or Embittered Teacher Dogma here: possessing a bit of an experimental streak, he knows there are many, many ways a story can work, and so seeks to fully understand and appreciate the author's intention(s), and to edit within that framework to do justice to the original vision. Mike Robinson has been writing since age 7, when his story Aliens In My Backyard! became a runaway bestseller, topping international charts (or maybe that was also a product of his imagination). Nevertheless, he did go on to write professionally at age 19, when he sold his first short story to the magazine Storyteller. He has published fiction in a dozen magazines (print and electronic), literary anthologies and podcasts. His first novel, Skunk Ape Semester, released by Solstice Publishing, was a Finalist in the 2012 Next Generation Indie Book Awards. He now has three novels contracted with Curiosity Quills Press, one of which, The Green-Eyed Monster, is set to release October 23, 2012. Mr. Robinson is charter member of GLAWS who lends his editing efforts to managing the society's official magazine, Literary Landscapes, which publishes stories, poetry, excerpts and articles by members. See his official website at http://www.twifalls.webs.com and his blog, http://www.cryptopia-blog.com. 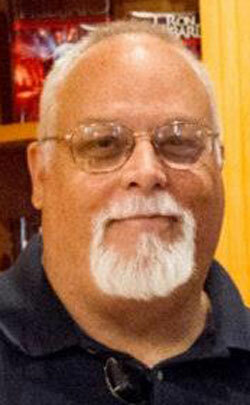 As a freelance editor, Mike has worked on memoirs, novels and screenplays. A wide reader, he is familiar with most genres, but is especially at home with Speculative Fiction (Paranormal, Horror, Sci-Fi, Fantasy), Mystery, Magical Realism / Metaphysical, Spiritual, Literary (Mainstream, Experimental, Quirky), and Narrative Non-fiction. Christine Van Zandt,Christine Van Zandt, owner of Write for Success, is a published author (fiction and nonfiction) and an experienced editor in Hollywood. She will conduct a thorough reading, providing thoughtful and practical feedback. Her areas of expertise include Memoir, Parenting, Fictionalized Memoir, Science Fiction, Fantasy, Paranormal, Mystery, Suspense, Action, LBGT, Romance, and Erotica. In addition, she has edited all categories of Children’s from Children’s Picture Books to Young Adult. A particularly active category recently has been the new genre New Adult that captures the YA audience as they enter their twenties. Christine also specializes in authors whose first language is not English. Christine works with self-publishing, agented, and freelancing authors. For more information and client testimonials, please see www.write-for-success.com. She will read up to twenty submissions of up to 2,500 words each and will provide an in-person consultation of fifteen minutes, which includes written feedback. Opening chapters preferred. Please indicate genre of the piece and total word count. Submissions other than books are also welcome. Her feedback will encompass the storyline as well as grammar and style. 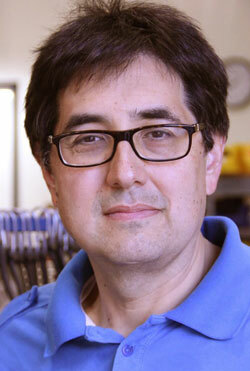 Dan Watanabe will read up to 10 manuscripts of approximately 2500 words (10 standard pages). Mr. Watanabe was a studio executive who "green lit" movies for 15 years and currently teaches at Los Angeles Valley College. 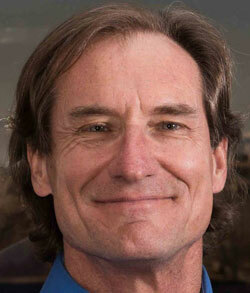 Robert Yehling is the editor of "The Hummingbird Review" literary journal and "Innovation & Technology Today" magazine. He also has edited more than 130 books, many that were picked up or contracted by major publishers (Warner, Sourcebooks, Houghton Mifflin, St. Martin's Press, Random House, IT Books, etc.). He works with travel narrative, spiritual subjects, business, leadership, poetry/essays, memoir, sports, topical Nonfiction, biographies, music, self-help and health/wellness/fitness Nonfiction; and mainstream, literary, genre-based, fantasy, mysteries, and crime novels (no horror).